The FIAT 500L and Ford B-MAX are sharing the Best in Class honour in the Small MPV category. 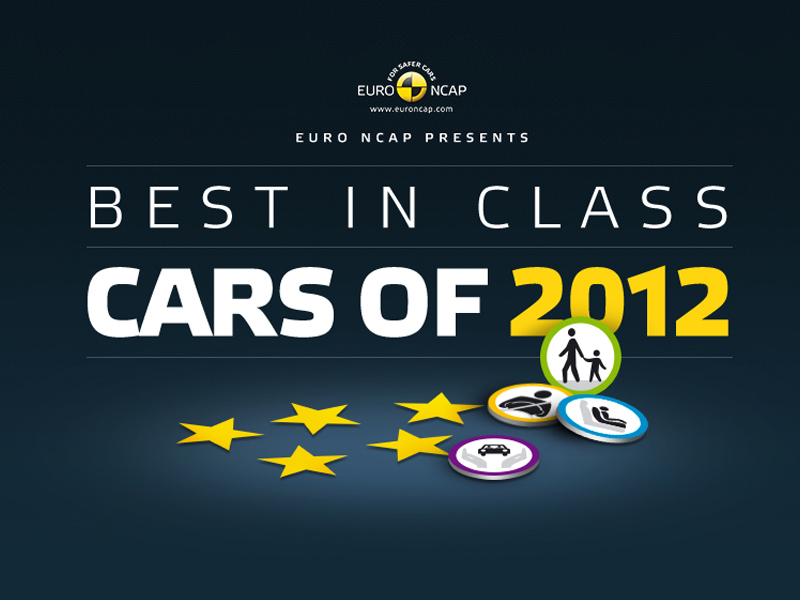 The Volvo V40 reached the highest combined score of any car previously tested by Euro NCAP. Whilst 26 five-star cars were released, one model achieved four stars and 8 received three stars. Last year's underperformers were the Jeep Compass and Renault Trafic, each of which was only able to score two stars against the latest set of requirements.